Insights Manila (registered as Insights MLA Business Solutions) is a training services company based in Makati. The company believes that the country’s workforce requires ample training that is effective and insightful, yet affordable. The consultants of Insights Manila are experienced professionals who had executed the courses several times for different companies under various training institutions. Insights Manila mostly offers exclusive training for companies. The courses are customized to meet specific training needs. The company also offers public classes where individuals can enroll, and one-on-one training for people who wish focused training. Other than training, the company also accepts Excel automation projects and course development projects. 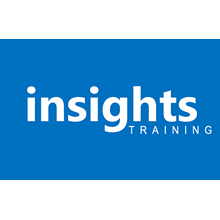 With Insights Manila, you are directly dealing with the consultants– no intermediary parties who just add costs to the training delivery.